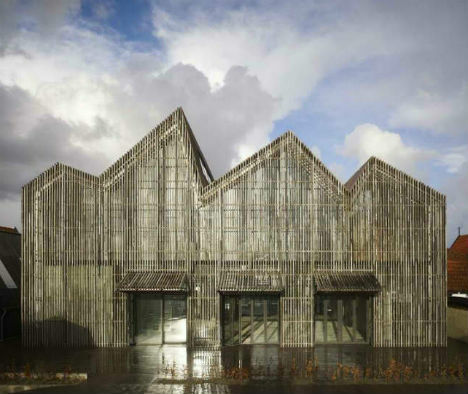 Simultaneously airy and solid, ‘Kaap Skil’ by Mecanoo Architects is a new maritime and beachcombers museum on a Dutch island accessible only by plane, boat or ferry. 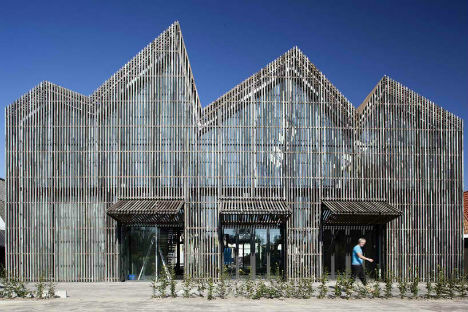 The building features a slatted wooden facade that resembles driftwood, and has a distinctive four-gabled-roof that mimics the shapes of the village that surrounds it, as well as the waves on the ocean. The rustic look of the wood isn’t artificial; the facade was made of reclaimed pilings that once stood in the North Holland Canal. This creative reuse not only makes reference once again to the building’s surroundings, but continues a long-standing tradition in the area to recycle wood from shipwrecks and other sources when creating new structures. 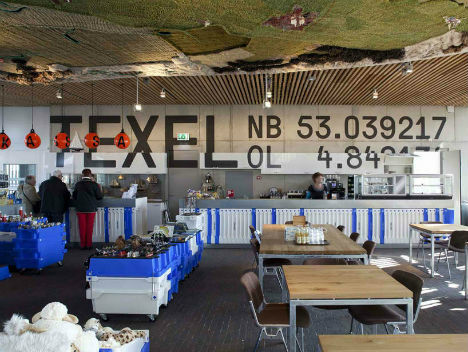 Just inside that facade are glass walls that flood the interior with daylight and afford nearly uninterrupted views of the island of Texel and the village of Oudeschild. From afar, this combination makes the building seem like a mirage. 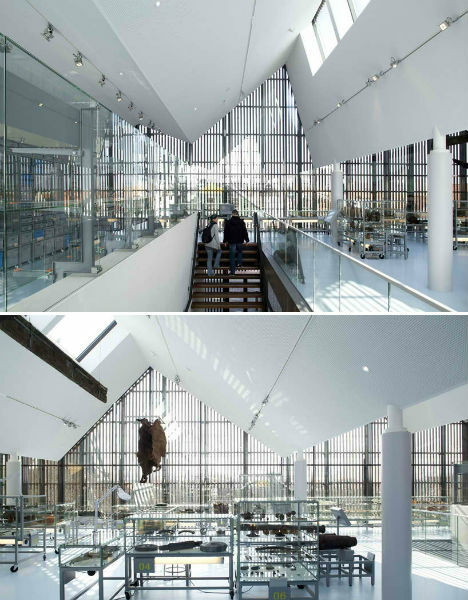 The facade provides privacy and acts as a shade from the harsh sunlight. The gabled shape of the roof calls to mind Glasgow’s Riverside Museum by Zaha Hadid. 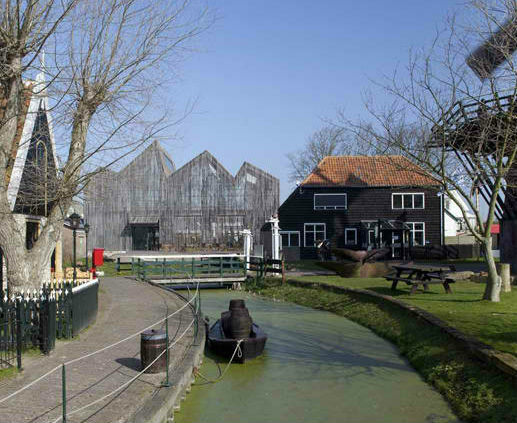 The museum, which is dedicated to the area’s maritime history as a popular holdover spot for the Dutch East India Company, holds two exhibition spaces, a restaurant and a retail shop.